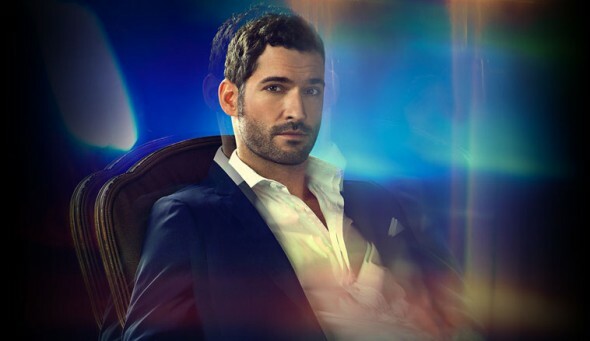 Performers include: Tom Ellis, Harry Hamlin, Larenz Tate, Odette Annable, and Sarah Habel. This medical drama follows renegade physician Doctor William P. Rush (Tom Ellis), a “medical fixer” who privately caters to the elite of Los Angeles — for a hefty price tag. A few years ago, Rush was a top attending surgeon at a prominent LA hospital. Working alongside his father, Doctor Warren Rush (Harry Hamlin), and his best friend, Alex (Larenz Tate), Rush’s career was on a promising track. On top of that, he was in love with his beautiful colleague Sarah Peterson (Odette Annable). But one fateful night, his world came crashing down. His position at the hospital was terminated, his relationship with his father combusted, and Sarah left him. Through everything, Alex was the only one to stay by his side. Shortly after, Rush began a private doctor service, treating his less-than-squeaky-clean clientele with no judgment or attachment. The series picks up six years later and we find that Rush’s unorthodox business is thriving with the help of his savvy assistant Eve (Sarah Habel). With Sarah in town once again, Rush tries everything in his charming bad boy arsenal to get her back. It’s challenging to pursue an ex while on a strict regimen of substance abuse and navigating the medical needs of actors, gangsters, life coaches, bounty hunters, musicians, and other troubled inhabitants of the City of Angels. When Alex risks his career to help Rush out of a bind, their friendship is put to the test. To set things right, Rush opens a door he wanted to keep shut; reaching out to a well-respected physician — his estranged father. Rush convinces Sarah to come away with him on a spontaneous romantic getaway. Just after she agrees, he receives shocking news from Eve. She shot J.P. Before they can decide what to do, J.P. calls and tells Rush that if he doesn’t treat his wound, he’ll go to the police. The doctor attends to J.P. but leaves him with a serious threat. Rush lends Alex $5k to cover what was lost keeping Steffi quiet, and discusses his interest in a job at the hospital. Back at the hotel, Rush receives a frantic call from his friend Max Zarella. The actor fearfully admits he may have killed his drug addict girlfriend Marika. After Rush revives her, Max helps the doctor find the perfect engagement ring for Sarah. Max considers marrying Marika, but Rush insists that he should be with someone who makes him better. Rush learns that his father vetoed his return to the hospital. Angry but determined, he arranges to meet Warren at Lily’s soccer game. He vows that he is sober and deserves a chance. Seeing Rush’s sincerity, Warren changes his mind. All seems well until an excited Lily announces that she has a sibling on the way. Corrine later confirms Rush’s worst fear: the baby is his. Alex comes clean to Laurel about his encounter with Steffi. Unable to trust him anymore, Laurel kicks him out. Meanwhile, Rush discovers that J.P. has been trying to contact Eve. He visits J.P. and ensures that he will never hurt anyone ever again. Observing the chaos of his life, Rush realizes he can never be the man Sarah deserves, and makes an enormously painful decision. First aired: September 18, 2014. What do you think? Do you like the Rush TV show? Do you think it should have been cancelled or renewed for a second season? Rush: Would You Cancel or Keep the USA Series? I loved the show It was great! I looked forward to seeing it every week. We make it a nite with family and friends to watch it. Bring it back….. Please bring Rush back. It was a great tv series.